Ok, this recipe is a winner. It is super successful in the kid crowd. 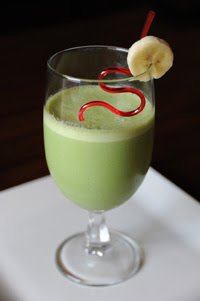 First off, the color is gorgeous and this shake has spinach which you can't even taste! 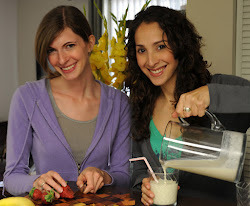 We're betting that you are going to love this shake just as much as your kids. It's packed with protein, calcium, iron, and vitamins. It can be hard to get those fresh leafy greens into your little one's diet, and yet the nutrients carried by leafy greens are vital to your child's health. Unless your kid is down for a salad (and YAY if they are!) then shakes are the way to go. Give this shake a rocking name and you will get far. But if your kid doesn't like anything green, we recommend making this shake when they aren't looking. Every mom and dad has got to have their secret weapon, the opaque cup. After they drink it up, tell them what's in it! Tell them how strong their body is going to be with all that spinach! 1. In a blender, combine the yogurt, milk, ice, and agave until smooth. 2. Add in the spinach and banana. 3. Puree until completely smooth.